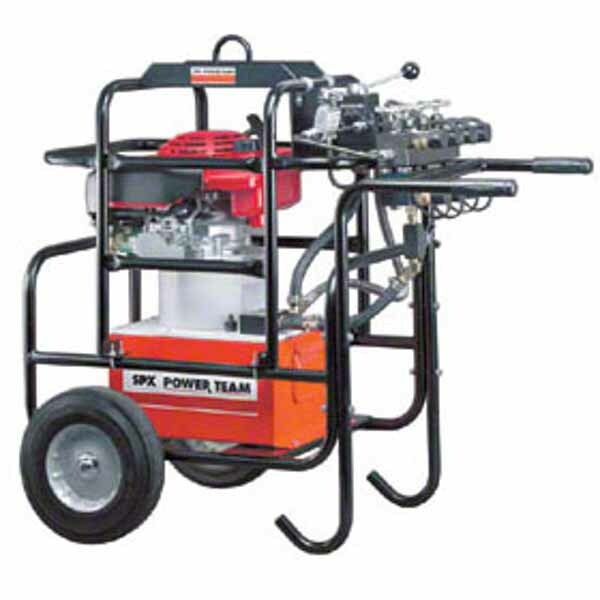 Power Team petrol-powered hydraulic pumps are suited to locations where there is no electricity or compressed air available. They feature a “Posi-Check” valve to prevent pressure loss when the valve is shifted from “advance” to “hold”. They also come with a roll-cage. Delivering 0.5 - 0.9 litres of oil per minute and operating single or double-acting cylinders up to 700 bar. Amazing performance pumps delivering 2.1 - 6.4L of oil per minute with large 9L reservoirs. 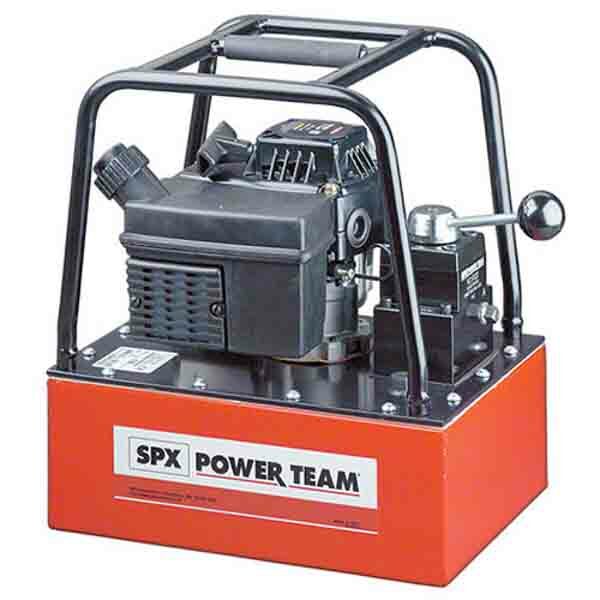 Our range of Power Team petrol hydraulic pumps are suitable for use in locations where there is no electricity or compressed air available. Perfect if you work in remote areas, these petrol-powered hydraulic pumps are powered by gasoline, whilst also having a low weight to horsepower ratio compared to competitor models. Our petrol over hydraulic pumps all feature a Posi-Check valve to prevent pressure loss when the valve is shifted from “advance” to “hold”. What’s more, they come with an aluminium reservoir for usable oil and a roll-cage to protect the pump from damage. With the same basic pump as electric-operated models, our petrol driven hydraulic pumps are the logical choice at a work site where there isn’t any electricity or compressed air available to use. We have years of experience in precision engineering and have built up a range of high-quality products that our customers can rely on. We stock only the best brands so you can be sure that when you buy with us, your products meet the highest performance, safety and quality standards. We are so confident of our petrol driven hydraulic pumps that they all come with a Lifetime Marathon SPX Warranty and a free 60-day returns policy for your added peace of mind. Take a look at our full range to find a quality petrol hydraulic pump that is suitable to use on any site.